“No. No. Not HIM!” Batman utters this line pretty often. Is it poor writing? He says this as Superman grins a Joker-ish grin at him. Yes indeed. The Joker returned before Robin has been claimed. BIG SURPRISE! Back in Summer 2013, as the “Zero Year” storyline was hitting the shelves, and the “Death of the Family” story fresh in our minds, not to mention Damian’s sudden death, there was an innocuous “Batman Annual #2” issue promising a blurb from Zero Year. To me, I read this issue and enjoyed it, but thought the Zero Year part of the story was just added as hype to sell the book and maximize money from that particular story event. But here we are. November 2014. A year and a half later or round about. And all this time, sitting in my comic book storage box and yours too, was a secondary character named Eric Border. A nice guy. Someone who cared for the patients…a truly caring doctor. So, I’m not the least bit worried about Batman being stuck in that cell paralyzed by the Joker and being poisoned by gas. This is the classic Batman scenario. Classic like in “1960’s” TV show! Batman will get out of it somehow in issue #37. Can’t wait! 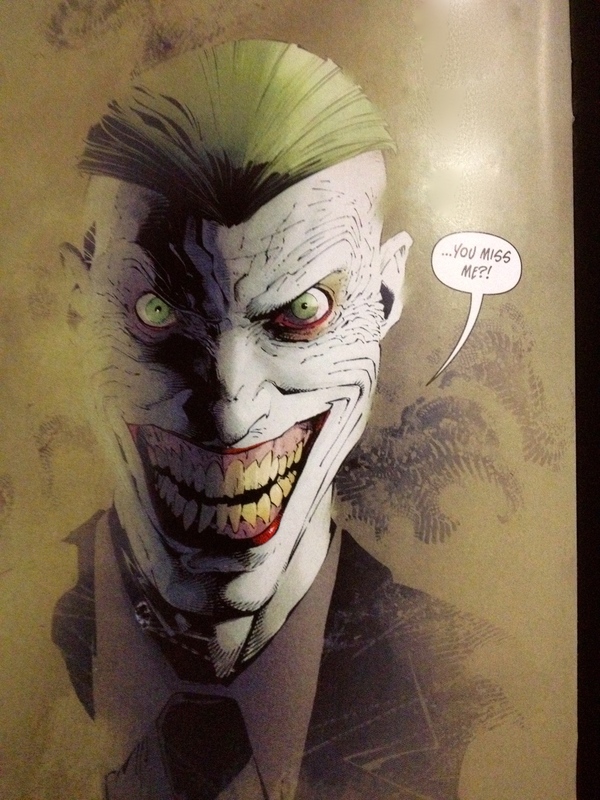 One more thing…there is a backup story going on, which evidently will give us new information about the Joker and his origin. A bunch of minor sickos have kidnapped Maureen, (who was dropped off by Eric Border,) and are telling her the stories the Joker told them to tell her. All different crazy takes on who the Joker is and where he is from. The first one in Batman #35 about the Joker being a demon rising out of the swamp on a mystical crossroads was pretty freaky. Actually really disturbing. And then #36’s story about him being an alien robot, also weird. We the readers know for certain that these stories can’t be true.